1. International Commission on Radiological Protection «Radiological Protection in Medicine», ICRP Publication 105, Ann ICRP 37 (6). Elsevier; 2007. 2. United Nations Scientific Committee on the Effects of Atomic Radiation. Effects of Ionizing Radiation, UNSCEAR 2006 Report, Volume I, Annex A, NY, United Nations, 2008. 4. Cristy, M. Mathematical phantoms representing children of various ages for use in estimates of internal dose / M. Cristy. – Oak Ridge National Laboratory, ORNL/NUREG/TM – 1980. – 367 p.
6. МР 2.6.1.0066-12. Применение референтных диагностических уровней для оптимизации радиационной защиты пациента в рентгенологических исследованиях общего назначения. – Введ. 2012-07-23. 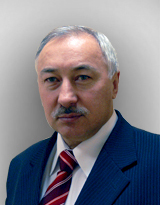 – М.: Федеральный центр гигиены и эпидемиологии Роспотребнадзора, 2012. – 20 с. 7. Compagnone, G. Effective dose calculations in conventional diagnostic X-ray examinations for adult and paediatric patients in a large Italian hospital / G. Compagnone, L. Pagan, C. Bergamini //Radiat. Prot. Dosim. – 2005. – V. 114 (1–3). – Р. 164–167.